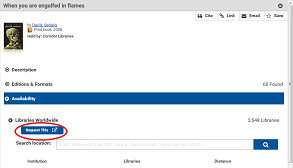 A step-by-step guide to using interlibrary loan at Kirkwood. Find Magazines and Journals Kirkwood Library Services owns or has access to in hard copy or electronic format. *Note: Interlibrary Loan materials can be picked up or returned anytime during normal library hours. The simplest way to make an interlibrary loan request is by doing so through our WorldCat catalog. Follow these steps to find and request material for interlibrary loan. Step 2a: (Off-Campus) Requesting an interlibrary loan from off-campus requires an additional step. After clicking the "Request This" button, a window will pop up asking for authentication. 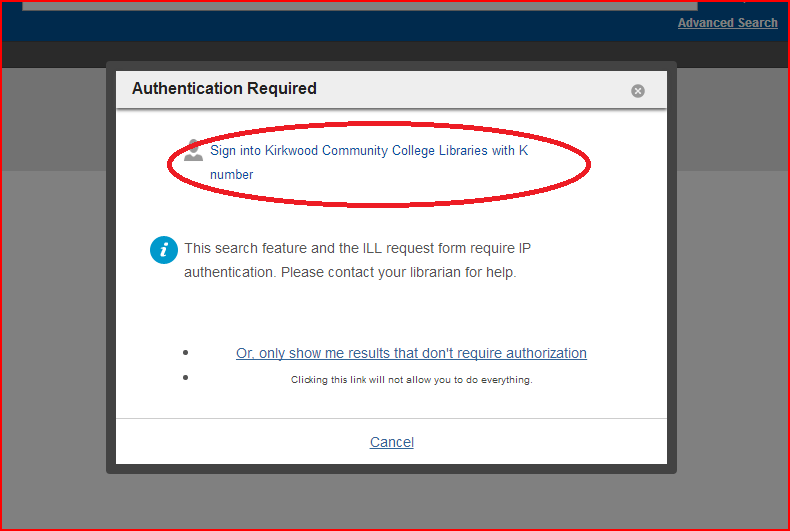 Click the "Sign into Kirkwood Community College Libraries with K number" link in this window and log in. After that, continue with Step 3 below. That's it, your request has been submitted! 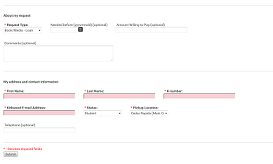 Step 2c: If you are making an interlibrary loan request off campus, you will have to authenticate after clicking either the "Request This Item" or "Request This" button. 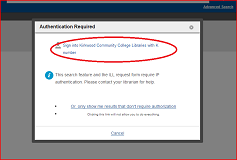 After the "Authentication Required" window appears, click the "Sign into Kirkwood Community College Libraries with K number" link and log in with your k-number and EagleNet Password. After logging in, you may proceed with Step 3 below. That's all there is to it! Let us know if you have any questions.